Do you know how many different big businesses started behind a garage door? Most small businesses start in garages or workshops all over. The interesting part is when those small businesses turn into giant businesses. That means they went all the way from their garage to superstores and giant office buildings in various countries. There are a few big name businesses that actually achieved this. The companies in question might actually surprise you. Different types of companies from toy manufacturers to internet giants started behind a garage door. Even a famous motorcycle company started in a garage with just a bike, a few extra parts, and a few small tools. The list is a lot longer than many people think. A lot of the huge computer companies today started in the garage. Though, that is not a big surprise because most computer companies started in someone’s garage. Apple, Google, Amazon, Microsoft, Hewlett-Packard and many other online and computer industry giants started in a space meant for your car. Probably two biggest of those companies is Google and Microsoft with Apple falling in close behind. Can you even imagine Amazon started in a garage? The amount of work ethic the founders of these companies had is really amazing. Imagine What You Could Do In Your Garage! Do you have a great work ethic and a few good ideas? Well, you could definitely be the next Walt Disney. That’s right, Disney Studios got its start in the garage of Walt’s uncle. How about motorcycles? Harley Davidson was another huge company that got its start in a garage. Though, that one makes just a little bit more sense than the other ones. Be honest, if you put a computer or projector in your garage today, it would either freeze or melt the insides of either. They had such problems back then and yet they still kept on pushing forward. Get A Great New Garage Door From Clark’s Garage Door & Gate Repair! 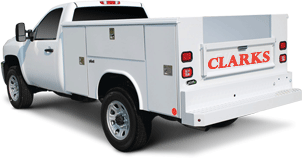 All you have to do is call Clark’s Garage door & Gate Repair at (877) 622-8183 from your choice of device. We offer same day garage door services for great low rates that everyone can afford. Whether you need garage door repair services or garage door installation services, Clark’s Garage Door & Gate Repair has you covered all year round. Yes, we also do gate repairs and installations. After all, your garage door can be your second line of defense instead of your first. Still Delaying The Purchase Of A Garage Door Opener? 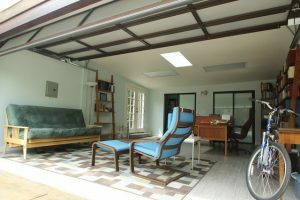 Turning Your Old Garage Into Your New Living Room!